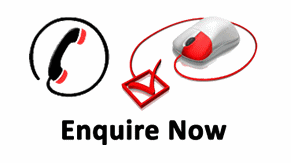 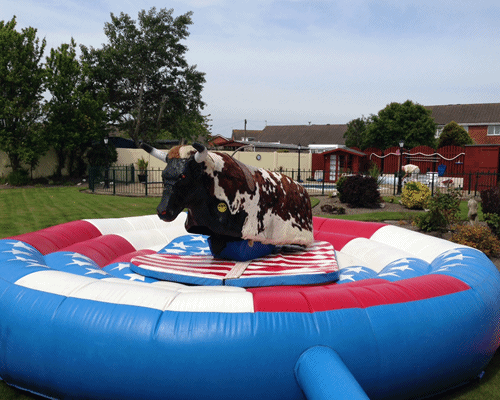 Bucking Bronco Fete/Fun Day Hire. 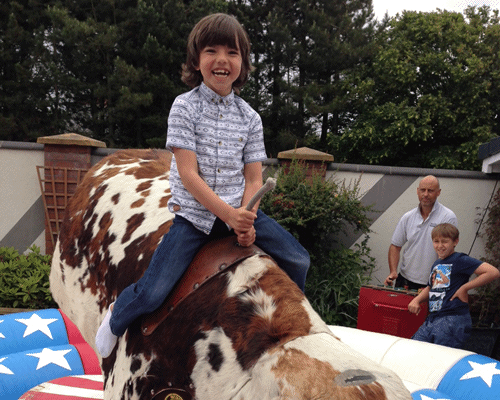 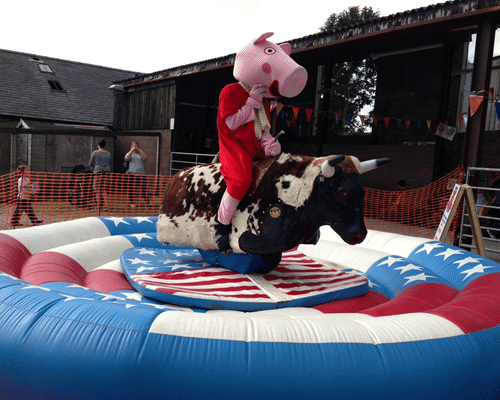 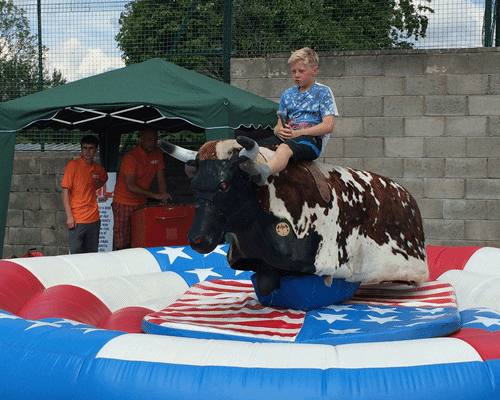 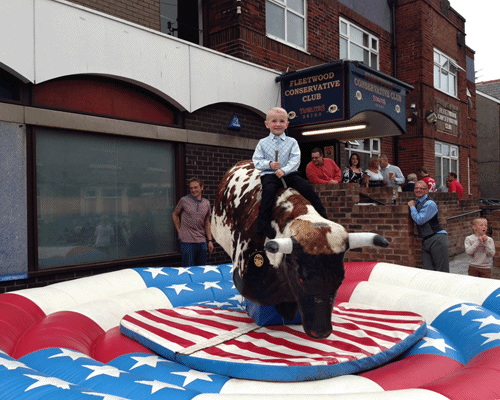 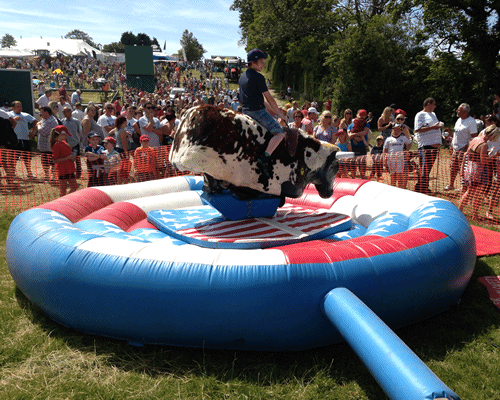 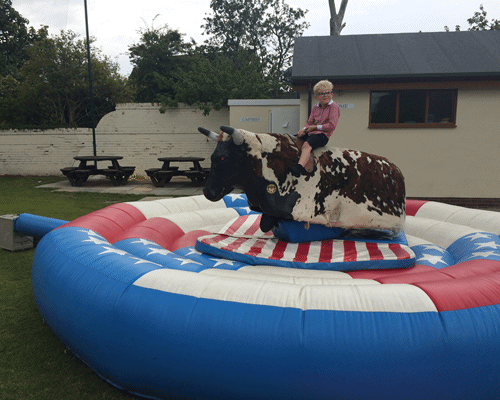 The Bucking Bronco is a must have for any fete or fun day, always a crowd pleaser a trained member of staff will operate the bull safefly for users of any age or skill. 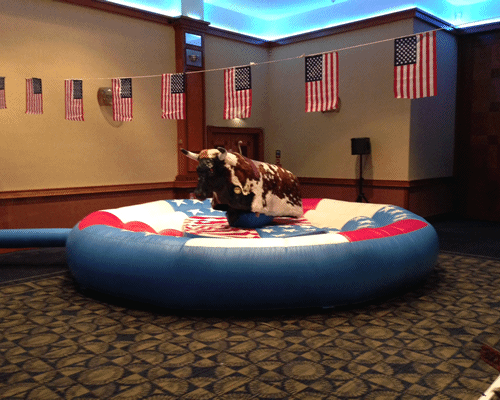 So what can ya say but yeehaw partner!